I scheduled a consultation with Matt Neufeld, the Vancouver Manager at Kintec. He and I nerded out went into quite a bit of detail on the mechanics of the foot, on the processed used to create custom orthotics, and on the different materials that could be used. We’d be working with a carbon fiber shell from their performance running line which promised to be light and dynamic with a low profile heel. 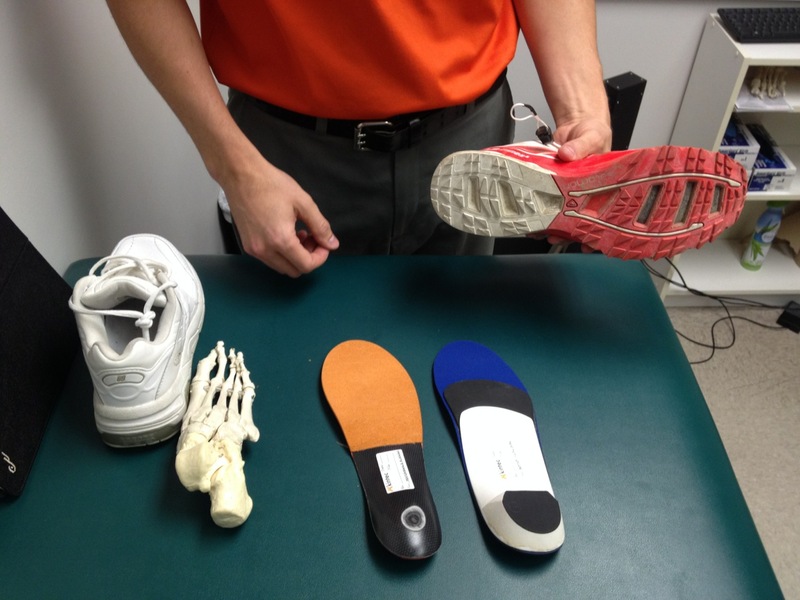 The goal would be to provide a very small amount of added support to the arch, but not any additional cushioning or changes to the mid/forefoot or heel. 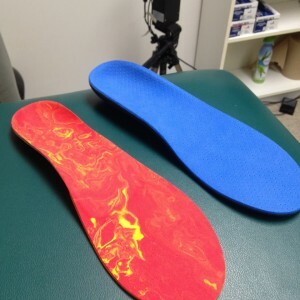 The only question was in which of two surface materials to use as too much or too little friction could cause problems – we went for the one which seemed to most closely mimic my existing insoles. 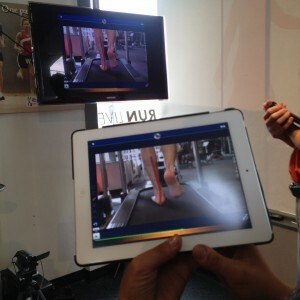 Next was a video gait analysis on the treadmill both barefoot and in my shoes; walking and running. With my being a runner, he filmed a little extra so I could share it with my physio as well. 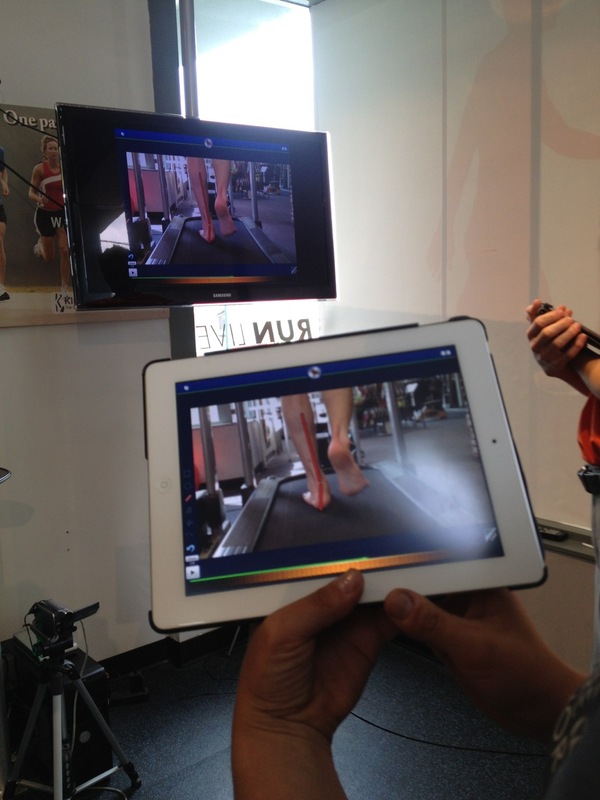 Immediately, we were able to watch the footage back in slow motion on a screen – they would pause it at key points and draw on it using an iPad to show where my alignment might be improved. Very interesting stuff (see video below). 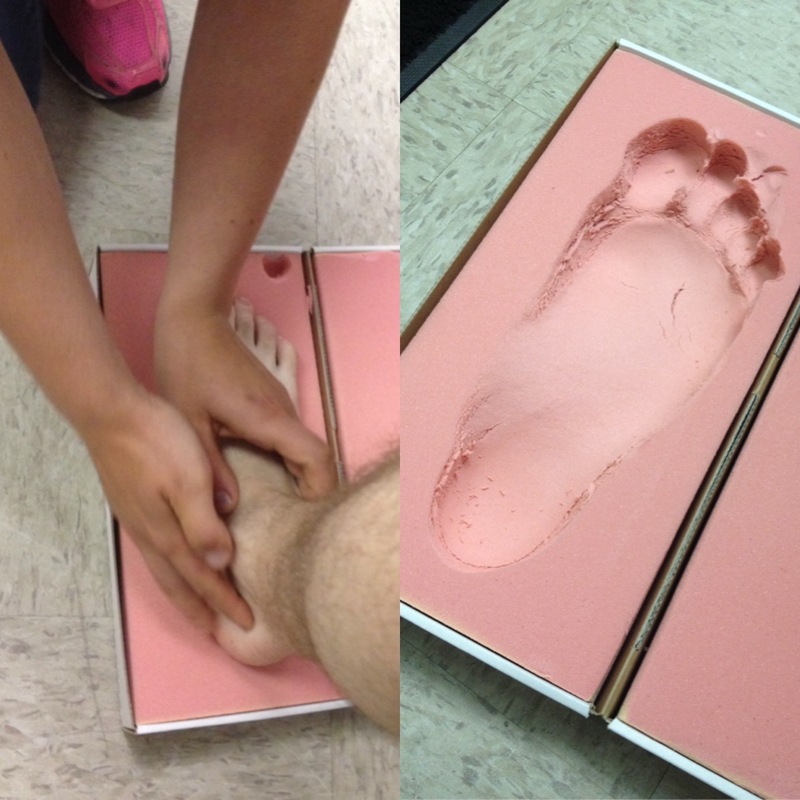 Finally, a 3D scan was done to create a full volumetric model of each foot, followed by a styrofoam mold. Two surfaces to choose from. I went back about a week later for a fitting. 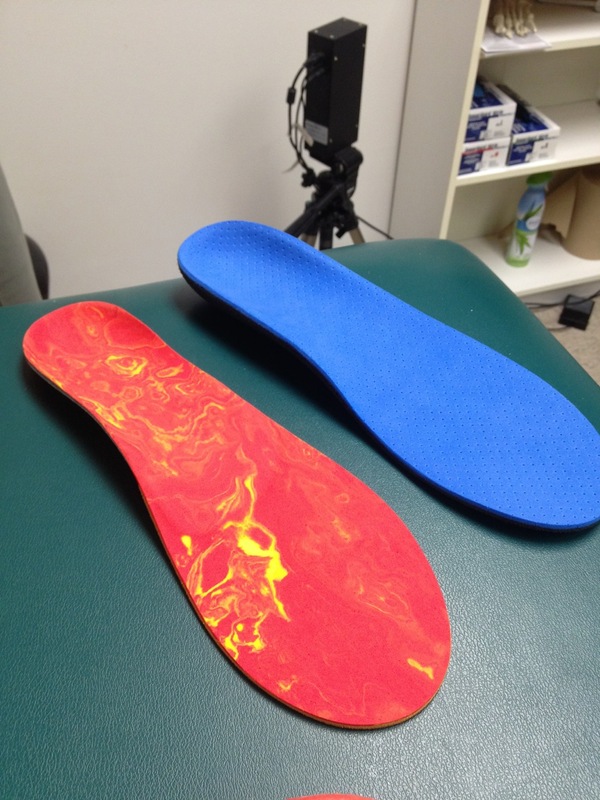 The existing insoles from my Sense Ultras were used as a starting point to grind the new custom orthotics down for a seamless fit as the shoes are particularly narrow through the arches and rear foot. Being able to use them in my Sense Pros would be a bonus since I only use those for my recovery days and when running on road, but rarely for long runs. I noticed a bit of extra volume mid-foot so we worked on shaving them down as thin as possible. Even a small change could cause a hot spot and blister after 8 or more hours, so Matt suggested that I try them out for a couple of weeks and come back if I needed them shaved down further. I’ve been using them every second run or so in both my Salomon Sense Ultras and Sense Pros, including on a recent 5 hour run, and they feel okay so far. Matt did stress that I shouldn’t feel a huge difference or see any visible change in my stride – we’re aiming for a very minor correction which is sure to add up over time, especially as my legs and feet get tired towards the end of a long run. The goal is definitely to continue building strength in my feet and ankles until I hopefully can put them up on the shelf for good. Thanks to Matt and his team at Kintec Vancouver. 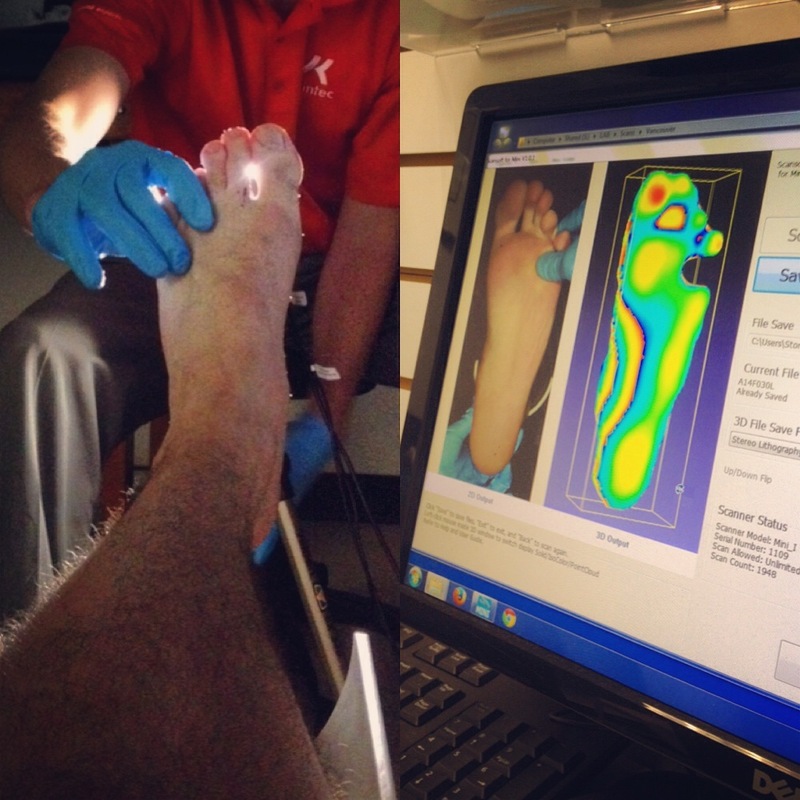 Stay tuned to next month’s training update to hear how my recovery is coming along..